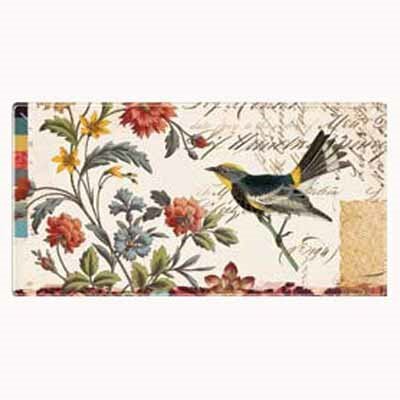 Transferware glass tray features a bird with red, blue, and yellow flowers. 12" x 6". Print is kiln fired to glass. Packaged in a patterned gift box.